Members of the public are invited to donate to the Hospice and dedicate a poppy or butterfly in memory of a loved one. 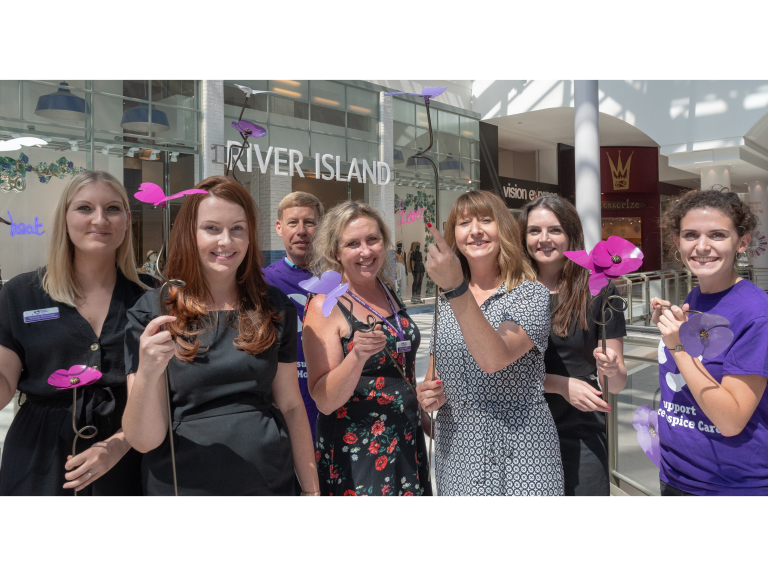 So far this year, 574 poppies and butterflies have been dedicated as part of the appeal, raising £18,700 for the charity. The appeal will run until Autumn. The hand-sculptured garden ornaments will again be displayed on the first floor in Beechen Grove in the shopping centre until the end of the summer holidays. Each individually sculpted ornament is made from metal and enamelled in vibrant colours - white, lilac or fuchsia butterflies, and purple, lilac or fuchsia poppies. Last year, the poppies were so successful that the charity ran out of stock, therefore people are encouraged to place their order sooner rather than later. The suggested donation is £25 for each poppy or butterfly. Every gift will help the Hospice to give care and comfort to local people when they need it the most.